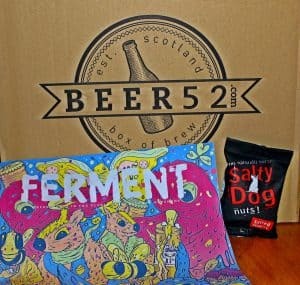 Beer52 is probably one of my favourites subscription boxes at the moment, purely because they give you 8 small batch brews, a magazine and a snack. Plus with this subscription, you get access to the freshest beer available as it’s sent to you within 4-6 weeks of being brewed. It’s the little things that matter, and Beer52 provide it all! 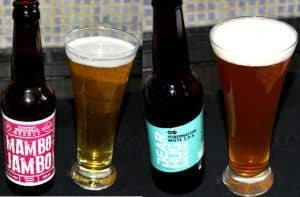 The magazine provides you with information about the beers in your box, it lets you know which ones are hoppy, malty or sour, as well as bitter, smooth, sweet, fruity or even floral, before you try. I’ll be honest with you, I forgot what it said after I tried the ales, but it was nice to try and guess and decide for myself which ones I thought were more malty or had a floral or fruity taste. The Ferment magazine also has features about new breweries, the disappearance of dark beers as well as an actual recipe for a delicious fish finger sandwich (which I will be trying soon, omnomnom). So, to the actual beers! I had 8 ales to try, and I must say the presentation and the label designs of these beers were amazing. I know you shouldn’t ‘judge a book by its cover’, but as a girl I am attracted to things that look nice, so I wanted to try the First World Problems ale and the Allelic Drift first. As I am a novice beer drinker (I prefer vodka), I got my dad to try them as well. Now, the magazine says Stewarts First World Problems is hoppy, bitter and fruity with a sweet, smooth and slightly malty taste. I first thought it tasted malty and then you’re left with a bitter aftertaste, whereas my dad thought it was nutty. The Allelic Drift ale smelt delicious! It was very similar to guava in my opinion, but it tasted more bitter with a sour aftertaste. But it was quite nice in small quantities only because it had a strong bitter aftertaste. Now on to Mambo Jambo. This one reminded me so much of Fosters, it was smooth and refreshing and definitely would taste amazing chilled, it was the only one that kept a head as well. It says it was inspired by homemade rhubarb crumbles. Beer52 actually teamed up with Tempest to bring this rhubarb and cascade saison, ‘to take you in the sun to promised lands’, it was even brewed exclusively for Beer52 members, so I am glad they sent it to me. I loved it! Bear Hug Hibernation is described as being hoppy, bitter and smooth with malty, sweet and fruity flavours. My dad thought it was very hoppy, I wasn’t a huge fan of this one as I felt it was too bitter for me and left a strange aftertaste. 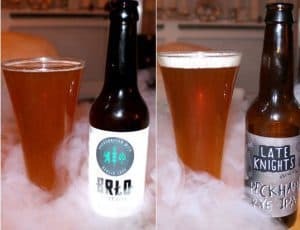 Brlo was a pale ale and tasted light and refreshing with a slight bitter taste towards the end. Late Knights Peckham Rye IPA smelt fruity and had more of a bitter and malty aftertaste. 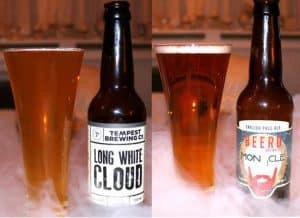 Tempest Long White Cloud was first brewed in a garage in Christchurch, New Zealand and is a Kiwi-inspired pale ale. It’s described as being hoppy, bitter and fruity with smooth and sweet flavours. For me it was quite bitter and hoppy with a slight nutty taste. And finally, the one my boyfriend was dying to try, Beerd Monocle. This was a close favourite of mine. It’s described as being hoppy, malty and fruity with floral notes and sweet, smooth and bitter flavours. It had an excellent colour and had a crisp, refreshing taste and was slightly bitter at the end. I think for me, this one was definitely one I’d try again. Just look at the label, it’s presented well and tastes great with a good mix of flavours! So overall, Beer52 is an excellent box. 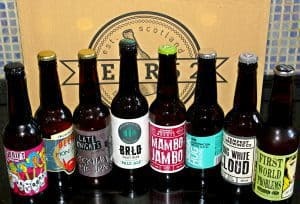 I think it’s a great choice for someone who loves to try craft beers or even as a gift for someone who likes trying something new. 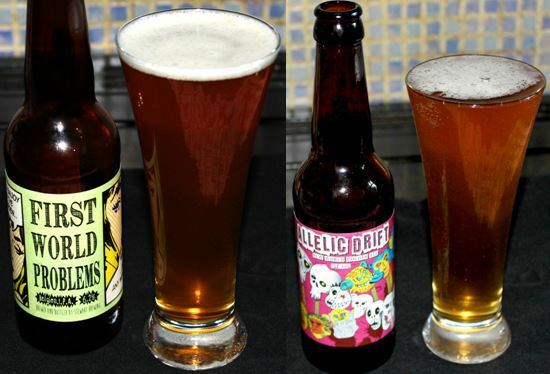 They’re beers you’d like to try once in a while, but not ones you’d spend all day drinking. 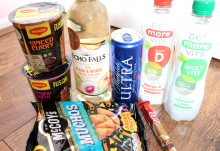 And at just £24 a month for 8 beers, a magazine and a snack, it’s undeniably a steal. Beer52 search the globe and work with the best microbreweries to deliver unusual, small batch and unique beers to your door. With the help of their included ‘Meet the Brewers’ booklet in every box and their online community and the YouTube Channel, you get to hear from the people behind the bottles. 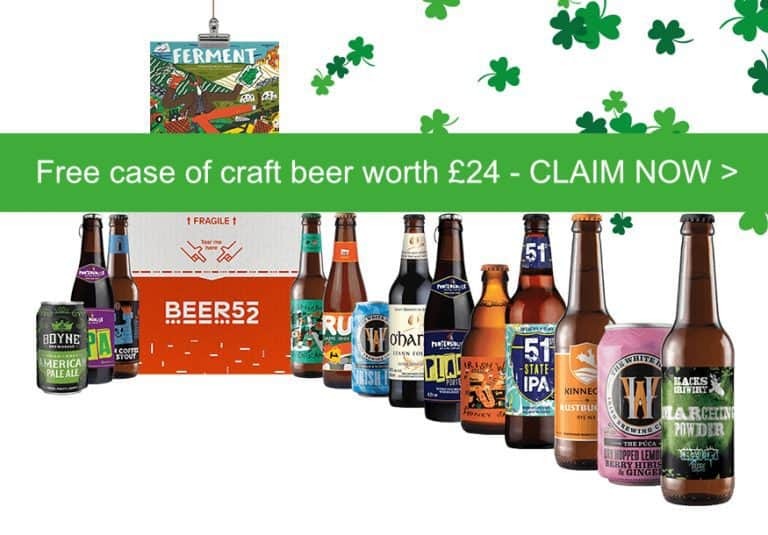 You’ll get 8 new and exciting craft beers each month delivered to your door for just £3 a beer. 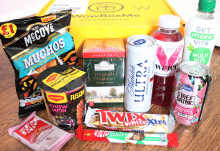 They’re fans of mixing it up so you’ll be pleasantly surprised each month! 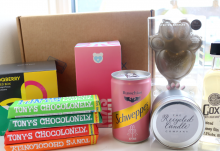 You can even set it up as a gift and send a personalised card.